If your ready for a work out! 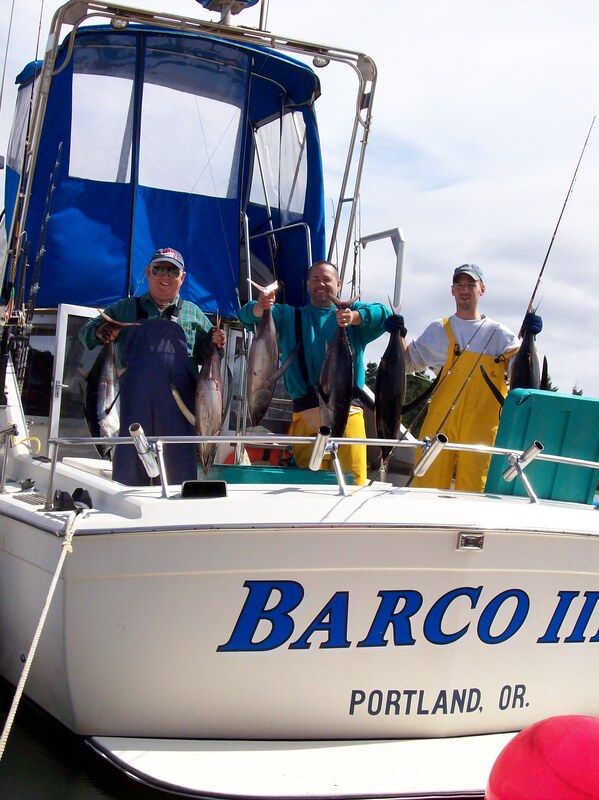 July marks the beginning of the NW's best offshore blue water adventure! It's Tuna time! 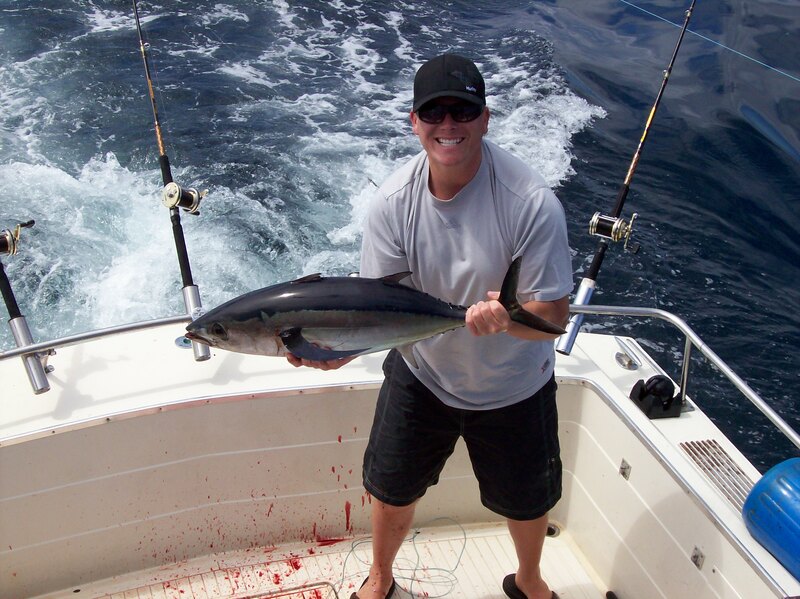 Albacore tuna are starting to run! Depending on water temperatures and run timing; July can find us thick in the tuna off of the coast of Oregon! 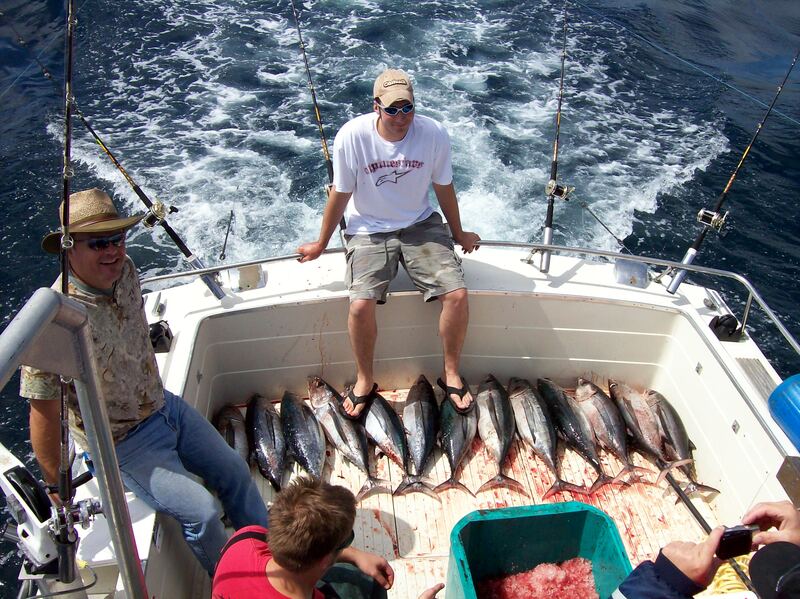 Albacore Tuna run from July to October and as long as conditions allow we are going to be out there after them! Most of our trips start early morning in order to get you out to the tuna grounds as early as possible in order to maximize your opportunity! 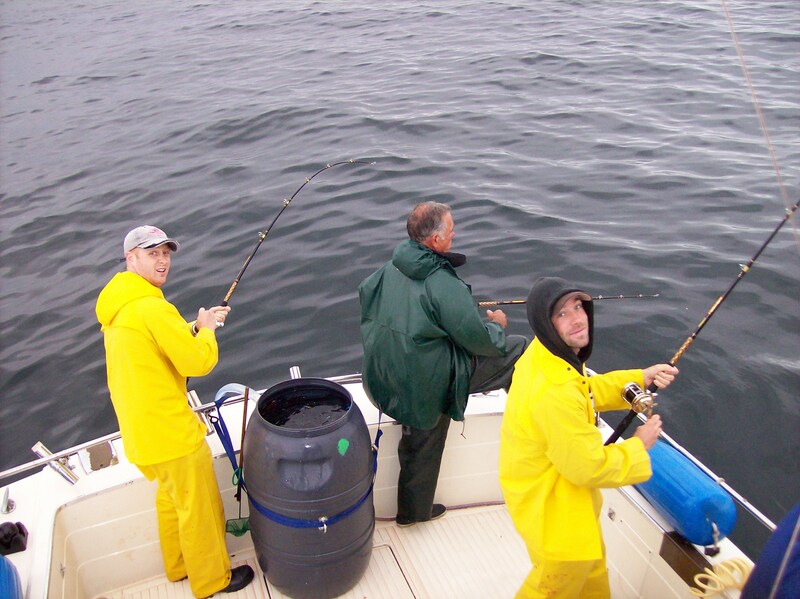 We fish as long as possible or until you cant reel in any more or the boat is full. Our focus on quality doesn't end with our equipment and boat, it also applies to how we take care of your catch. 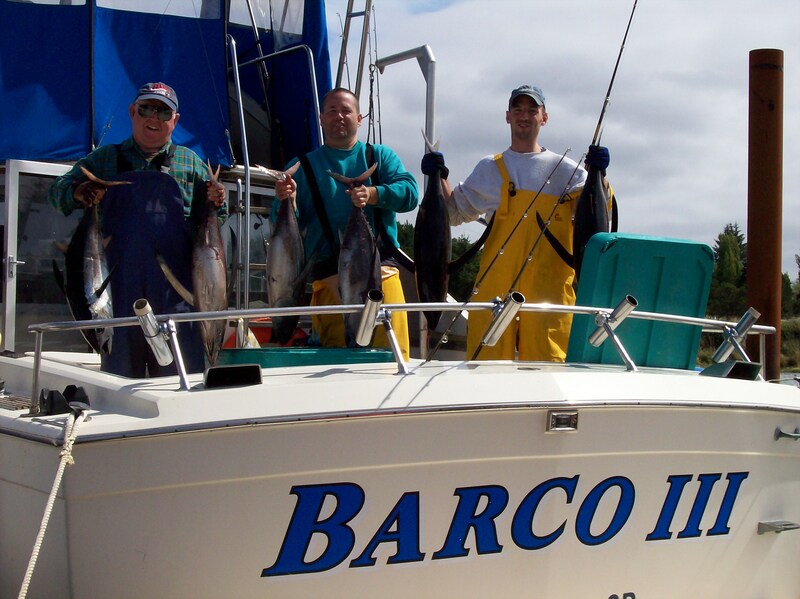 We immediately bleed and ice all of the Albacore Tuna that hit the deck of the Barco 3! These are amazing fish, that deserve to be treated properly to ensure the best flavor and provide the highest quality table fare. From trolling, casting lures, dropping jigs, pitching live bait ... we utilize every technique available depending on conditions but specialize in live bait tuna fishing, using live anchovies. Once we get back to the dock loining (filleting), vacuum packaging and canning are all services that are available upon request.